To request materials in accessible format, sign language interpreters, and/or any disability accommodation, please contact the Frost Music Live Box Office at 35-284-2400 or via email at fmtickets@miami.edu two weeks in advance to initiate your request. TTY users may also call 711 (Florida Relay Service). Frost Music Live strives to ensure that all of our spaces and events are accessible. In addition to providing accessible seating for all performances and events, we offer services to our patrons who are deaf, hard of hearing, blind or have low vision. Assistive listening devices are available for all performances. 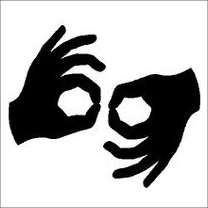 Sign language interpretation and audio description are offered upon request. Therefore, we recommend that you state any special requirements at least two weeks before the performance by calling 305.284.2400, Option 2 during regular business hours (Monday-Friday 9:30 a.m. to 5 p.m.). If you have any questions about accessibility at the Frost Music Live, please contact the Maurice Gusman Hall at 305.284.2438. Wheelchair/Accessible Ticket Policy The management at the University of Miami Maurice Gusman Concert Hall and Weeks Center for Recording and Performance, Clarke Recital Hall tries to accommodate patrons with disabilities whenever possible. However, due to the production requirements of some events, these special facilities can sometimes become limited. We, therefore, recommend that all patrons with special requirements state their needs at the time of booking tickets. Those purchasing wheelchair accessible seating may purchase one (1) wheelchair accessible seat and one (1) companion seat; any additional seats must be purchased in the regular seating areas. This policy ensures that we are able to accommodate all available and accessible wheelchair seats in our halls. Wheelchair accessible and companion seating tickets are priced at the lowest concession available for selected performance. Seats can be purchased in person or by calling 305.284.2400, Option 2 during regular business hours (Monday-Friday 9:30 a.m. to 5 p.m.). Handicapped Patrons and Seniors For individuals having difficulty using the stairs, the University of Miami Maurice Gusman Concert Hall has a functioning elevator located inside, to the right. The elevator leads patrons to the first row of the hall (Row A). At this time, there is no elevator leading patrons to the last row of the hall (Row P). The Weeks Center for Recording and Performance, Clarke Recital Hall has ramps leading to the center of the hall. Assistive Listening Devices These devices amplify and clarify sound for patrons who are hard of hearing. If you wish to use one of these headsets during your visit, please call the box office at 305.284.2400, Option 2 during regular business hours (Monday-Friday 9:30 a.m. to 5 p.m.) at least five (5) business days in advance. Guide Dogs are welcomed at all our venues. Any problems or questions related to physical access on campus should immediately be reported to the Office of Disability Services at 305.284.2374.